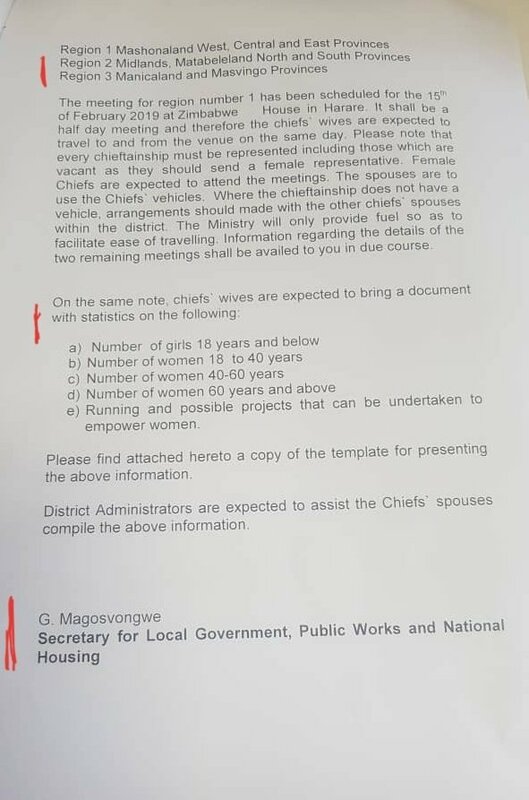 The government has been accused of smuggling the first lady, Auxilian Mnangagwa, into state affairs through organising meetings for her with the country’s traditional leadership’s wives. 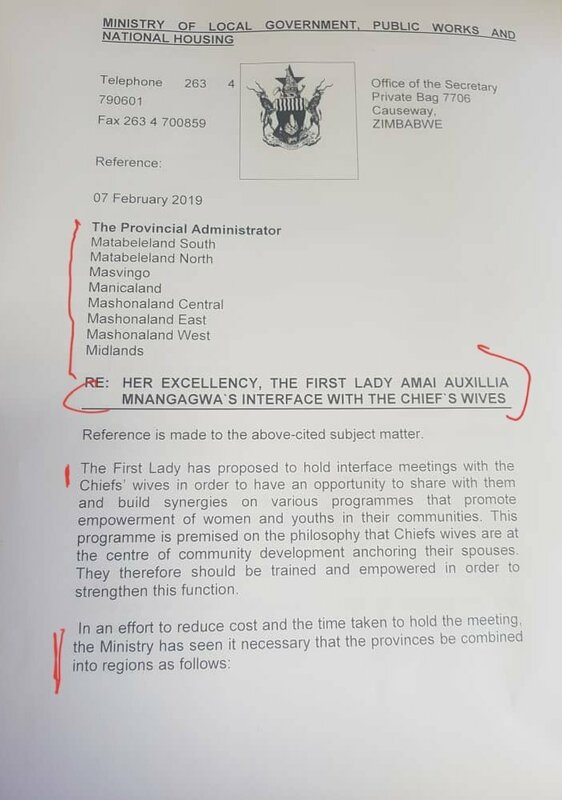 The president’s wife is set to meet the wives of traditional leaders to “share with them and build synergies on various programs that promote empowerment of women and youth in their communities”. The meetings are being organised by the Ministry of Local Government. A letter from the ministry, signed by the perm sec G. Magosvongwe, was addressed to Provincial Administrators who were being asked to provide assistance in the compilation of information for the meetings. In a clear case of criminal abuse of office, July Moyo is using the Ministry of Local Government, through the Permanent Secretary, to get Mrs Auxillia Mnangagwa to meddle in state affairs, when she’s not a state official. This is an impeachable offense against Emmerson Mnangagwa! These are the sort of things we were told forced the military to topple Robert Mugabe in 2017. The first lady then, Grace Mugabe was interfering in the running of the State. Is there any difference between what Grace was doing and what the new first lady is trying to do now?